Are You Properly Caring for Your Heart? In today’s blog post, Julian Omidi highlights American Heart Month and gives tips on taking care of you most important muscle. February is American Heart Month, which is a great opportunity to educate the public about the risks of heart diseases, learn how to prevent it and save lives. Cardiovascular disease (CVD) – heart disease, stroke and high blood pressure – is the leading cause of death for men and women in the United States. According to The Heart Foundation, approximately 1 million Americans die every year from heart disease, about 1 in every 4 Americans, more than any form of cancer. In 2008, the disease cost the U.S. an estimated $448.5 billion in healthcare services, medications and lost productivity. By 2020, heart disease will be the leading cause of death throughout the world. Wear red on Feb. 6, National Wear Red Day, to raise awareness about heart disease in women. Encourage co-workers, friends and family to make healthy dietary changes. Encourage physical activities in your child’s school. Participate in community events to raise awareness of heart disease or donate to help find the cure. Julian, along with his brother, Michael Omidi, and mother, Cindy Omidi, has established a number of charities to help people and animals live better lives. 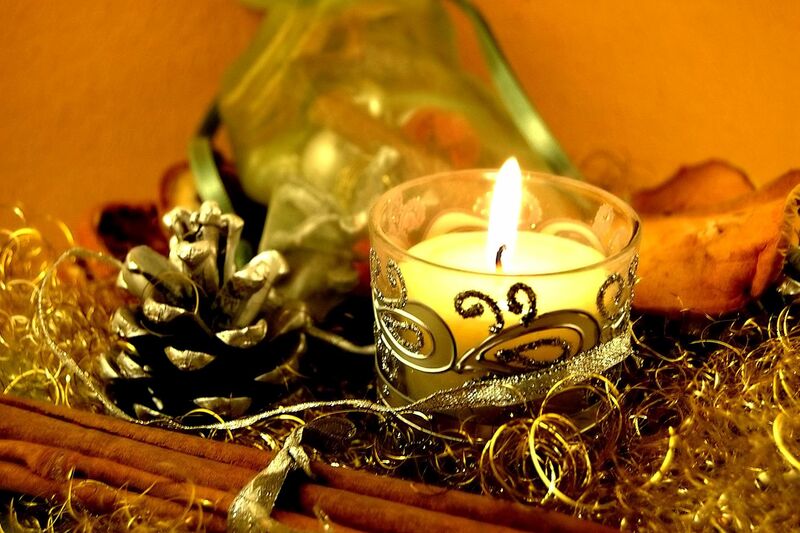 In this entry, Julian Omidi discusses some health hazards to be mindful of during your upcoming holiday celebrations. The holidays are a magical time with family, friends and cheer. I don’t want to be a Grinch, but ‘tis also the season to be extra mindful of your health. There are some holiday hazards that can be avoided so you and your loved ones can celebrate for years to come. We tend to stray from our normal routines during this time of year. New cooking techniques, different foods, decorating materials and their methods can pose some risks. And that’s before the rest of the family gets there! I composed a list of some things to remember so your holiday celebration will come off without a hitch. When visions of sugarplums are dancing in your head, it can be hard to think about calories. Unfortunately, the holidays are a time for chocolate, sugar, fat and salt. All of which should be used in moderation. 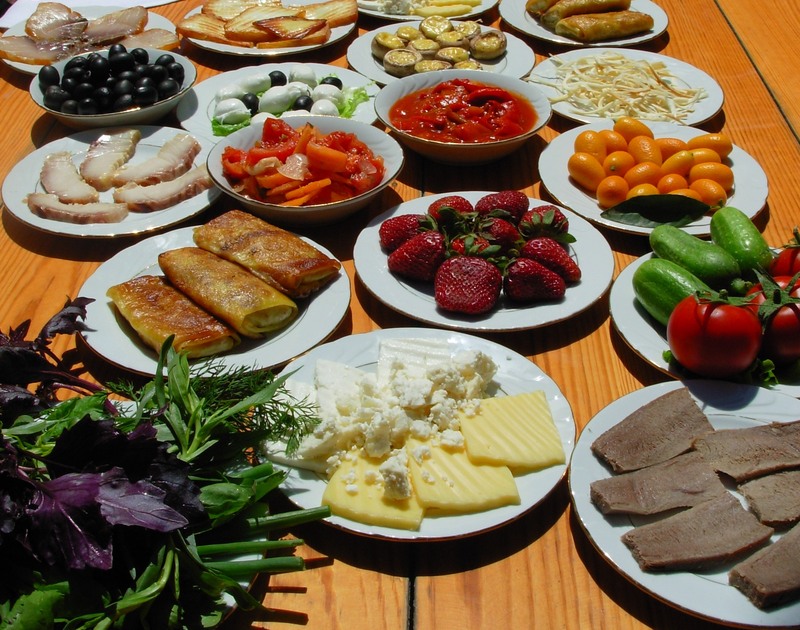 Try to put an equal amount of healthy and sweet snacks out for your guests. Don’t let anyone drink too much, either. Sure, alcohol is full of empty calories, but it can also lead to some awkward moments at family gatherings. If people drink, encourage them to eat some food first. Drinking on an empty stomach is asking for trouble. You won’t avoid the extra calories that come with the season. Don’t expect to. You can help to lessen the damage by adding some exercise to your day. Take a walk with your family and enjoy each other’s company along the way. If the weather allows, play a game outside. Eggnog and cookies are one type of danger, but there are some holiday hazards that could be much worse. Always be mindful of possible dangers to guests of all types, including children and pets. Holiday decorations can be filled with tasty looking pieces that come off easily. Don’t let children or pets chew on things that could become lodged in their throats or are toxic. That’s right, toxic. 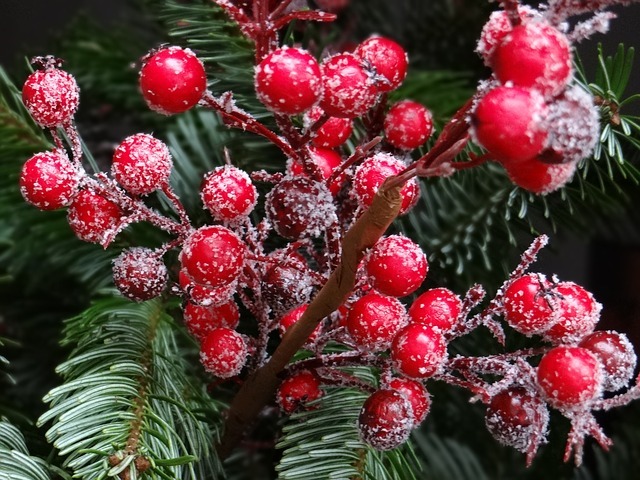 Holly and mistletoe are poisonous, so you may not want to deck the halls with the real stuff if you’re going to have children or animals over. Choking on food is also a possibility. Make sure to take small bites and chew slowly. Know how to perform the proper emergency techniques if someone shows signs of choking. Use caution when decorating. It isn’t often you are running garland along your ceiling. Secure your stepstool or ladder on level ground and stay centered. Decorate with a helper if only to make sure you aren’t alone if you fall. Of course there is the possibility of your tree catching fire. You might be thinking, “That old chestnut?” But, between the years of 2007-2011, fire departments in the U.S. responded to an average 230 house fires that began that way. It is no joke. An average of 6 people a year died over that same time. Relax. If you experience high levels of stress, let someone know. Things will never be perfect. Your guests, friends and family members know that. Enjoy the time you have with them and forget about the performance. The holidays are a time for happiness. Use your head and make sure your house is a safe and healthy environment for everyone in it. With some forethought, your celebration will be one to remember. The Omidi Brothers, Michael Omidi and Julian Omidi, are cofounders of several charities, including No More Poverty, The Children’s Obesity Fund, and Animal Support. Their work supports the betterment of creatures large and small. Julian Omidi discusses the new documentary film “Fed Up,” which is about the obesity healthcare crisis, particularly childhood obesity. The food industry is making us fat, according to a recently released film exposé. 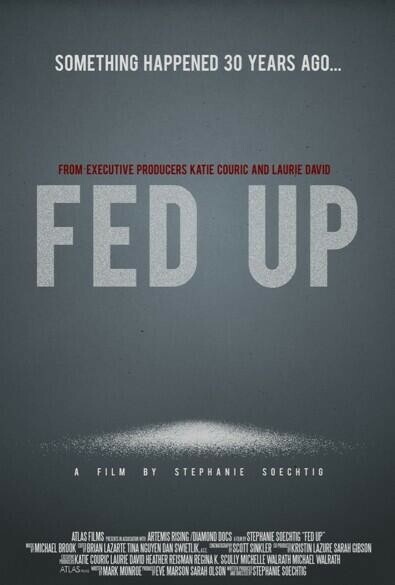 “Fed Up,” a 90-minute documentary by the team of filmmakers who produced “An Inconvenient Truth,” explores the food industry practices that could be actively contributing to our current obesity health crisis, with particular emphasis on the toll both the practices and the crises are taking on children. Even products marketed as being “low-fat” are misleading and contributing to the problem, since they contain more sugar than their full fat alternatives. It is the world’s addiction to sugar that is causing the massive obesity epidemic, but the food manufacturing industry is nevertheless wholly reluctant to yield. The Grocery Manufacturers Association and other major organizations in processed food production have a tremendous amount of political influence, which not only affects the foods sold in the United States, but also all over the world. According to the documentary, in 2003, the Bush administration stopped the publication of a World Health Organization report that advocated the calories in the human diet contain no more than 10 percent from added sugars with the threat of pulling all funding. The federal program to combat childhood obesity, “Let’s Move,” might also have felt the power of food manufacturing lobbying interests. Again, the documentary posits a theory that the presidential administration could have been influenced by the food industry, and moreover may have backed down from making meaningful changes. While the beginning of the anti-obesity initiative seemed to promise that childhood obesity would be attacked from every direction, the food industry wanted to appear to partner with the “Let’s Move” program, which would have taken off much of the outside pressure to significantly change its manufacturing and marketing strategies. Among other revelations from the film, childhood bariatric surgery as an anti-obesity option is being discussed and even embraced by the medical industry. While the idea of performing surgical weight loss procedures on teenagers would have once filled medical professionals with horror, today it isn’t uncommon. The adolescent obesity problem is so severe that many medical professionals and parents are willing to risk the potential for nutritional deficiency in growing teenagers by agreeing to gastric bypass surgery. Ultimately, the convenience food industry has effectively changed the public mindset about what real food and convenience are. Since we’ve convinced ourselves that cooking whole foods is more expensive in terms of time and money, is it possible for us to disengage ourselves from prepackaged foods and go back to preparing food from scratch? According to “Fed Up,” we might have to sacrifice a bit of time and comfort in order to ensure our own health and the health of our children. Once we’ve gotten used to relying upon ourselves for our food and not large corporations, we might be able to combat obesity in an effective and enduring way. This new film might be provocative and even divisive, but if it asks us to ask difficult questions about ourselves, our habits and our futures, it can only lead to more discussion on a critically important topic. A medical and humanitarian crisis is burgeoning in South Sudan, as hundreds of thousands of people face mass famine after months of deadly conflict. Julian Omidi discusses the reaction of representatives from Doctors Without Borders to the United Nations peacekeeping response to the devastating events in South Sudan. In South Sudan, the peacekeeping operation initiated by the United Nations came under critical fire from representatives from the international medical nonprofit Doctors Without Borders, due to the gruesome conditions in the Tomping compound, located in Juba, the capitol of South Sudan. There are currently 21,000 refugees sheltering in the compound, which has become a massive public health hazard. The United Nations has worked with Doctors Without Borders providing aid in numerous nations in crisis states, and both organizations have served South Sudan throughout its turbulent history. Currently, South Sudan is in the middle of a catastrophic humanitarian event, made worse by the rampaging violence. Nearly 4 million people face starvation, and several hundred thousands find themselves without shelter save what is provided by the United Nations. Doctors Without Borders has released a statement lambasting the reaction of the United Nations Mission in South Sudan (known as Unmiss) during this crisis. In the statement, the UN is accused of ignoring the pleas to assist with improvements at Tomping, which is currently situated in low ground. During the rains, latrines were overturned, and the waters flooded the compound with sewage, causing the immediate threat of water-borne illnesses. The compound is surrounded by barbed wire fencing, and just beyond the fence is higher, dryer ground with warehouse space. 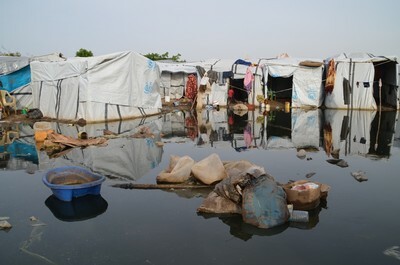 The refugees within the compound are experiencing an overwhelming flood of diarrheal, respiratory, and skin infections all due to the bacteria-laden water in which the inhabitants are situated. The Doctors Without Borders staff say that such diseases account for over 60 percent of the illnesses reported in the compound. The fact that the UN has refused to allow the residents to relocate has confounded the relief workers, particularly since better conditions are relatively close by. Representatives from the UN insist that the camp will be closed by the end of April, and that they acknowledge that the compound has turned into a massive health hazard and have already relocated approximately 1,300 people. Nevertheless, it is not clear if the remaining refugees can be moved before the rainy season begins. According to the UN, there is simply not enough space for all of the inhabitants in the Tomping compound, but the aid workers insist that better, dryer conditions are so close by, that they are actually within eyeshot. In addition to the crisis in sanitation for the Tomping refugees, the displaced residents, unable to tend to crops after facing months of unimaginable violence, could potentially face starvation. According to the United Nations South Sudan relief coordinating officer, the region needs approximately $230 million in order to combat what could be the most devastating example of mass starvation since the famine in Ethiopia. In the following article, Julian Omidi discusses the expulsion of Doctors Without Borders from the Rakhine region of Myanmar. The organization was dismantled due to the government’s assertion that Rohingya Muslims were being favored over the Rakhine Buddhists, but tensions between the two groups extends far beyond access to medical services. Julian Omidi is cofounder of the organization No More Poverty with his brother, Dr. Michael Omidi. The activities of the nonprofit organization Doctors Without Borders have been suspended in Myanmar, due to governmental accusations that Rohingya Muslims were receiving preferential treatment over Rakhine Buddhists. The two ethnic groups have been in conflict since the British colonial era, and the hatred of the Muslim population is widespread and generally accepted. It has been theorized that, by shutting down Doctors Without Borders, there will be fewer international witnesses to violent outbursts against Rohingya Muslims. The medical services provided by Doctors Without Borders are the only treatments available to the Rohingya Muslims. They have been denied citizenship in Myanmar by order of law, and in 2012 were forced to relocate to internment camps and ethnic ghettos. Although Doctors Without Borders has been accused of giving Muslims special favor, there are no medical facilities available to the Rohingya Muslim population, as the government-run clinics are situated outside of the districts in which the Muslims are allowed to live. Although the International Red Cross is still permitted to operate, Doctors Without Borders is the largest healthcare provider in the Rakhine region. More than a quarter million people receive treatment from Doctors Without Borders facilities. Since the restriction of services began, it has been estimated that 150 people have died due to having been denied medical care. Doctors Without Borders was the only resource for chronically ill Rohingya Muslims. Those with tuberculosis, malaria and H.I.V. who have depended upon medications supplied by Doctors Without Borders might not have a reliable supply for the foreseeable future. Government officials have stated that medications donated by Doctors Without Borders will continue to be distributed, but exactly how this is to be achieved has not been made clear. For the past several years, anti-Muslim actions have been intensifying. Monks regularly include anti-Muslim rhetoric in their sermons; local politicians are lobbying to prohibit the Rohingya from identifying themselves as such on the national census for fear of confirming the numbers are higher than governmental estimates. However, the most disturbing trend is the violence against whole families – including children. One gruesome incident involved the slaughter and decapitation of 10 Rohingya men, whose heads were left in a water tank. While the violence is not technically sanctioned by the government, little has been done to prevent it or punish those who have perpetrated it. The desire to create healthy food resources in urban areas has led to the sprinkling of food cooperatives in under-served neighborhoods, but will the residents bite? In the following article, Julian Omidi discusses the attitudes about food co-ops in previously underserved regions. It shouldn’t come as a surprise that underserved communities are among the most malnourished. In poor urban areas, the U.S. government has a designation for areas with limited access to fresh food: Food deserts. The resources for these areas are typically fast food restaurants and convenience stores, where the only accessible categories of food are processed, rather than whole. As a result, the inhabitants have far higher incidences of heart disease, obesity and type 2 diabetes. But are food cooperatives, with their organic produce and hip culture, the answer? Many urban areas are now undergoing a kind of resurgence. These neighborhoods are called “transitional neighborhoods,” but long-time residents consider it gentrification. In Brooklyn, Oakland, Detroit and other major metropolitan cities, neighborhoods that were primarily inhabited by poor African American and Latino residents now have an influx of food cooperatives, many of them heartily endorsed by local governments and community organizations. However, the food cooperatives are mainly frequented by the newer and more affluent residents, while being abjured by the long-time citizens. It isn’t surprising that many locals aren’t going to the food co-ops – the brands are unfamiliar; the produce is organic (and more expensive); co-ops charge membership fees. The fact that co-ops aren’t open to the general public and require an investment of funds and – often – labor, doesn’t sit well with the old guard. 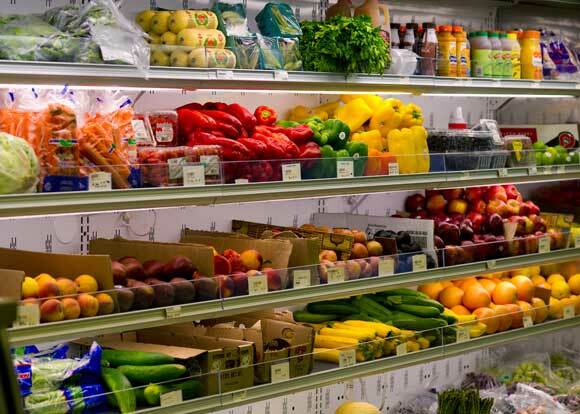 These co-ops are situated next to familiar convenience stores and dollar shops, some of which sell a smattering of produce that is considerably cheaper than the free-trade, organic co-op alternatives. Moreover, the culture of the co-op is alien. Cooperatives are community owned, and therefore the community has a direct responsibility for the operation of the establishment. For a person with two jobs who travels to and from work by bus, the obligation to devote additional hours to the upkeep of the new store might not be especially appealing. The core issue is the convergence of two cultures that may not cohere, or even endure. When a historically low-income community suddenly sees an influx of young professionals, the result isn’t typically the forging of a new kind of community spirit – it is the raising of rent and the systematic exodus of the old residents. How then, can healthy foods be introduced into a deprived neighborhood without giving the impression that the people are being pushed away? Hopefully, community organizations can develop relationships with the new neighborhood co-ops, and help their new neighbors understand their value. If the co-ops are viewed as everyone’s resource and not merely a shop for the hip and privileged, then maybe they will flourish, and become valued parts of an evolving society. Julian Omidi discusses an article about how more and more research illustrates the power of altruism, the practice of unselfish concern for or devotion to the welfare of others. 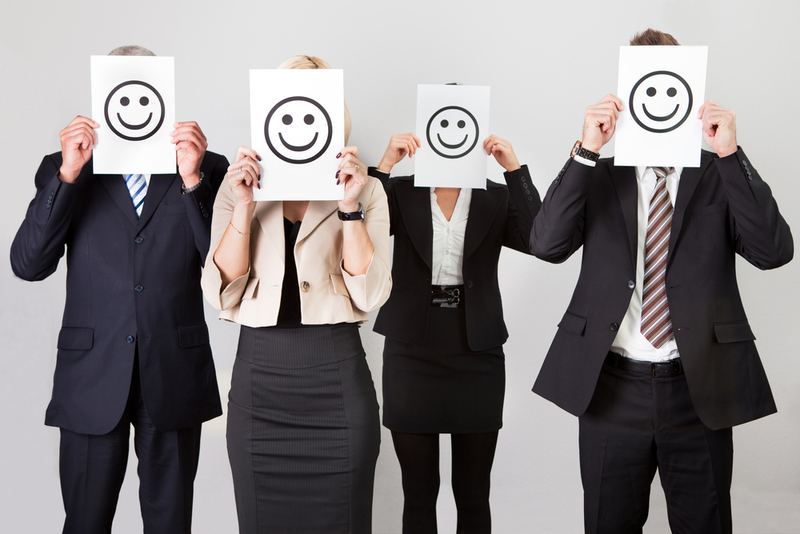 Researchers also found a link between happiness and helping others at work in cross-national data from the General Social Survey, which includes data from 49 countries around the world. But that’s not all! Healing others may cause a ripple effect that makes not only those who are performing the good acts happier, but may also raise the happiness among other members of the community. Julian Omidi discusses the recent and very dramatic increase in childhood malnutrition hospital admittance in Afghanistan. There appears to be an exploding hunger crisis in Afghanistan – one that is as fast-moving as it is inexplicable. Local hospitals are reporting an influx of malnourished children. The number of children admitted into hospitals for malnutrition and malnutrition-related illnesses has increased by 50 percent since 2012. Local physicians are at a loss as to exactly why this is occurring. Ongoing violence is certainly a factor, but the issue has exploded only within the past year, while the conflict has been going on for more than a decade. Nevertheless, aid programs have been thwarted by political tensions and violence, and families that were on the cusp of desolation might have just been reduced to near-starvation. Something else that has the medical community confused – the fact that the parents aren’t malnourished, even though their children are. There aren’t any food shortages or blighted crops. Theories abound. Some doctors believe the blame lies in the culture. Women are sequestered from all non-familial outside influences, making reproductive health education difficult, and in many cases, impossible. Because mothers often cannot devote the time and energy to breast feeding when they often have one child right after the other, another possibility is the lack of breast feeding in favor of nutritionally less-desirable powdered milk, rehydrated with stream water. In a nation where clean water is difficult to come by, this could lead to crippling gastric distress and babies’ inability to absorb vitamins. While this phenomenon may seem like a catastrophe, Unicef doesn’t classify it as an official crisis. Even though the number of malnourished children spiked suddenly and without an identifiable cause, because the number is lower than the mandatory 10 percent of children under the age of five, the event cannot be labeled an emergency. The statistics show the percentage being approximately 7 percent, although the statistics are dubious. Childhood malnutrition can lead to a host of developmental issues later on. Starvation can be fatal, but persistent, chronic malnutrition can stunt growth, inhibit cognitive development and leave the children vulnerable to disease. Widespread malnutrition among children could become a health crisis. 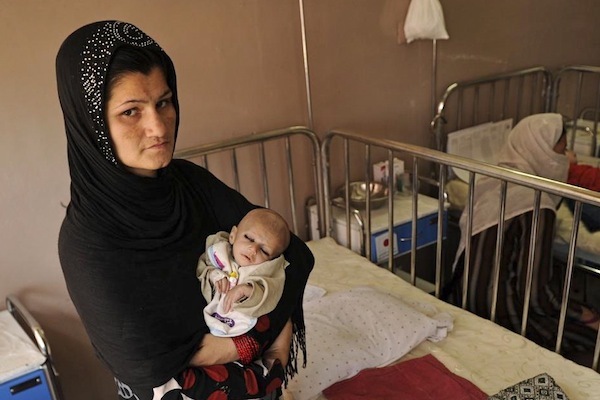 It is a pity that these conditions do not merit particular intervention by the Afghan Ministry of Public Health and Unicef when the consequences could be so dire. Nevertheless, some doctors believe that the admittance of children en masse might actually be a good sign. It is possible that the actual numbers of malnourished haven’t changed, but the public awareness that there are resources that can care for children now exists, and perhaps parents are better able to get proper medical care for their children.